“THE WINTER DANCE PARTY MURDERS,” BY GREG HERRIGES, AND “SKY: CHILD INTERRUPTED,” BY WILLIAM WEST, CAN BE FOUND BY SCROLLING DOWN BELOW THIS POST. 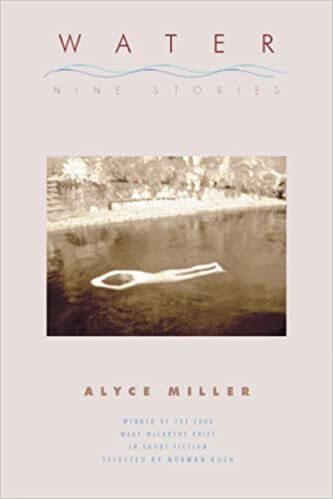 THIS BOOK: Water: Nine Stories. THE PUBLISHER: Sarabande Books. The book won the Mary McCarthy Prize for Short Fiction. SUMMARY: The collection was put together after the stories were written, when I realized that some version of “water” was a connecting theme, from water in a bucket to the expanse of ocean. THE BACK STORY: I rarely write with “book” in mind. I’m drawn to characters and less to plot. What’s more interesting to me is why people do what they do, even if it’s not in their best interests. If I’m working on short stories, I do them one at a time and then take a look at what I see in the mix if I think some of them might work in a collection. The stories in this collection were written over several years. WHY WOULD SOMEONE WANT TO READ IT? Short stories can be read in chunks, and they are self-contained. Many of mine are long and complex enough to feel a bit like mini-novels. AUTHOR PROFILE: I’ve lived many, many lives, through a twisted trajectory, filled mostly with surprises, times of uncertainty, and times of joy . I’ve held numerous different jobs, the most recent as a full professor at Indiana University, which I just up and quit. I can’t afford to return to the West Coast where I lived for years in the SF Bay Area, so now I am waiting to sell my house to move to the DC area. I want to be near—yes—water! I’m also an attorney with a strong interest in social justice and animal advocacy. AUTHOR COMMENTS: I believe writers need to live in the “real world,” and pay attention to the smallest of details. The world is our archive. Interacting with others is key to gaining insight and compassion. WHERE TO BUY IT: Amazon, Barnes & noble, etc.